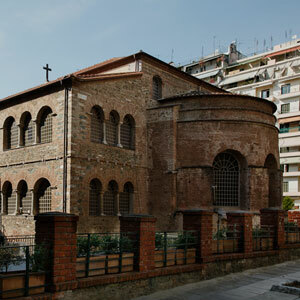 Byzantine church, built in 1028, with three domes and surviving murals dedicated to the Virgin Mary protector of the coppersmiths. The church was renovated in the 14th century. The name “Mary of Chalkeon” was due to its location in the center of the copper processing professionals operating in the area from the medieval years until today. The church has a longitudinal cross shape with 3 holly niches at the east side and a narthex at the west side. The marble lintel of the main entrance at the west, reminds the visitors that the church was founded by “Christopher Protospatharios a Byzantine official. 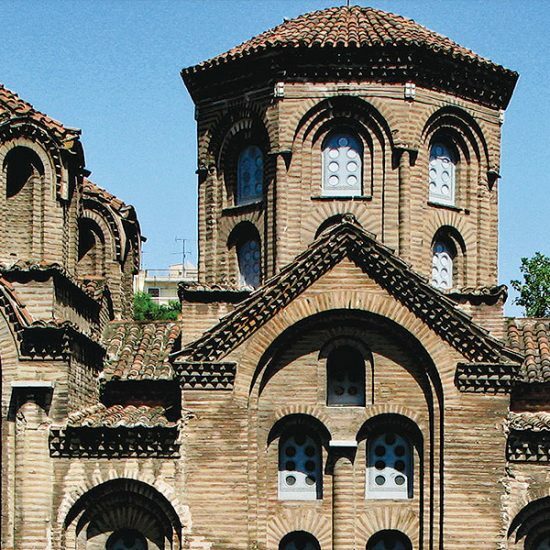 During the Turkish occupation the church was converted into a mosque to be converted into a church again after the liberation of the city in 1912. Today, visitors have the opportunity to observe two layers of frescoes dating from the 11th and 14th century. 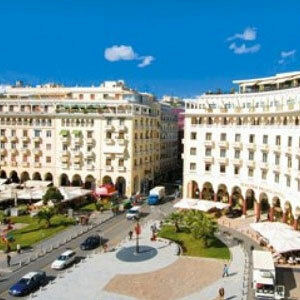 The Aristotelous square is the connection link between the architectural history of Thessaloniki and its modern style.